Home » humour , Wordless-Wednesday » Wordless Wednesday: Turkeys On Picnic! 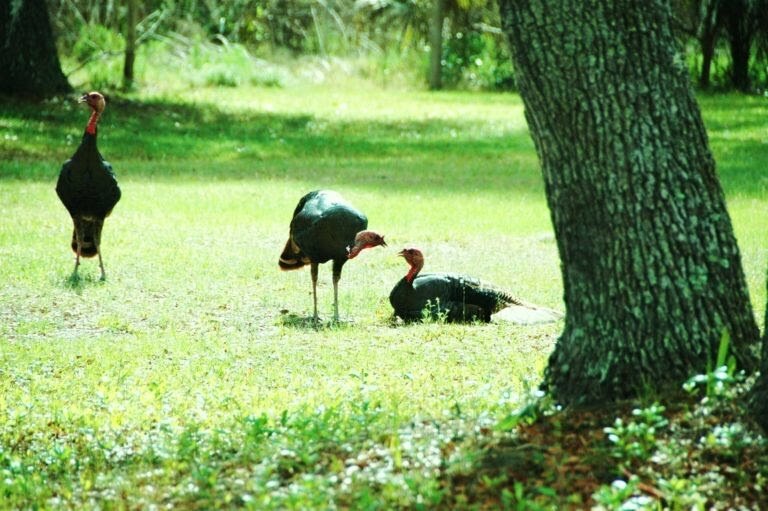 Wordless Wednesday: Turkeys On Picnic! Here's more in "Wordless Wednesday"! Nice Turkeys! Have you tried roasted Turkeys for Xmas dinner? It looks great, but not so to taste.Chciekn is better! Sorry, but the photo reminded me of x-mas dinner i had 2 years ago with my wife. hope i am not sued by PETA! Turkey 1 (Mr Gobble-Gobble) on the left, stands away looking askance, miffed by Turkey 2's (sitting, Mrs Gobble-Gobble) blunt refusal to let him take their eggs out for a roll in the park, while Turkey 3(Gublu-Gablu, Mr Gobble Gobble's office chum) tries to salvage the picnic by trying to get the warring Gobble-Gobbles to get talking to each other again. Chicky, do be a good girl and ask Wednesday if I got that right, will you?